Pictorial Quilt, Runner up : Bath Time. This quilt was inspired by the book ‘Pioneer Women of the Bush and Out back’ by Jennifer Isaacs. It has wonderful old photographs and a comprehensive text. 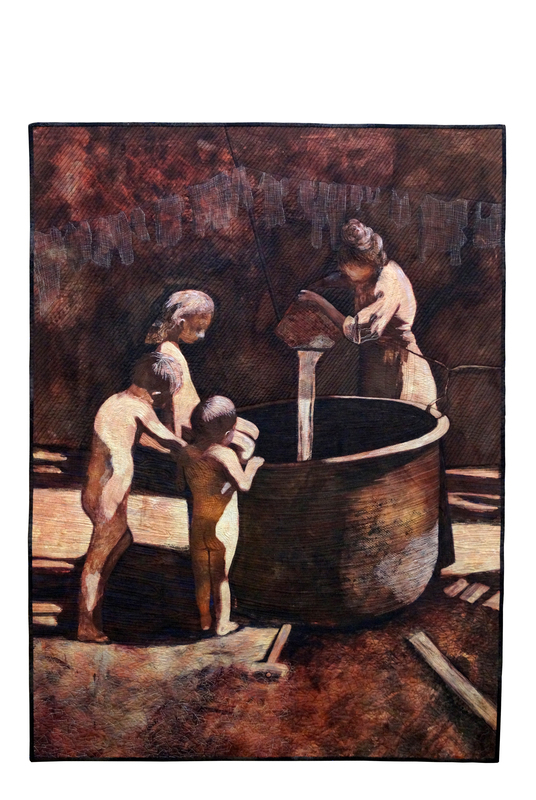 This tiny photo was of children taking a bath in an old copper next to a well. It was taken circa 1900 and is used with permission from the National Library in Canberra. I adapted it quite a bit, deleting a lot of detail, enlarging it, and rearranging the main figure. A washing line has been thread sketched in the back ground. This is a whole cloth quilt. This piece will be rushed off to the US, where it is part of a travelling exhibition with SAQA, called ‘Balancing Act’. 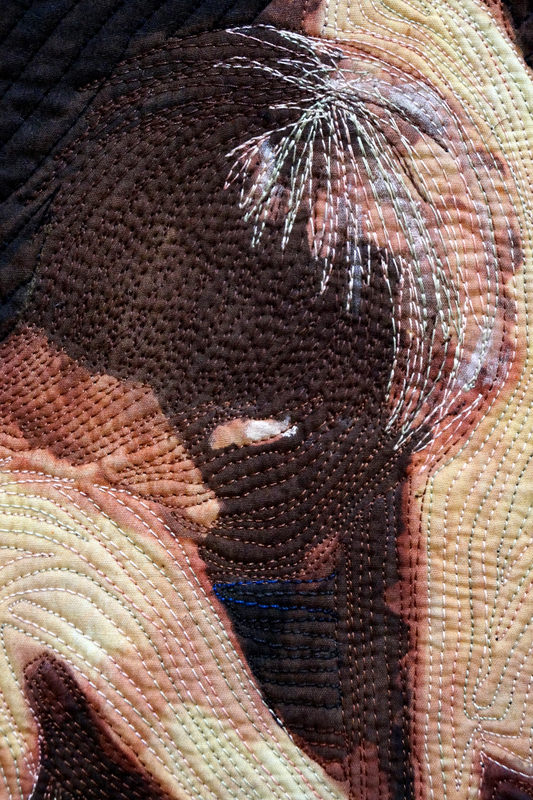 This will be my first quilt exhibited at the famous ‘Houston’, which I am very excited about.